View cart “Swimming for Parents ( Paperback / Softback )” has been added to your cart. Swimming for Parents has been read by parents of swimmers in more than 40 countries. It has fast become the 'go-to' book for swimming parents and will assist you to fully understand the sport of swimming and how you can help your child to be the best that they can be. Swimming for Parents is a lifelong project that draws on many of my experiences as a swimmer, coach, swimming administrator and now as a parent of young children who enjoy swimming. It has been written to provide assistance to parents of swimmers who take part in regular training sessions and weekend swim meets. Primarily aimed at parents of children aged up to 14 years, this book will become a reference book for every parent as their child moves through the different stages of development and swimming. Swimming for Parents is available in a printed Paperback version that we can post to you or as an eBook for you to download and start reading today. For many parents having a “swimmer” in the family is not something they planned. Most swimmers begin in a learn-to-swim program and progress through to advanced lessons. From there they are asked to complete a couple of sessions in a junior squad and before you know it they are entrenched and absorbed by the sport of swimming. By this stage, parents begin to realise the commitment required by a swimmer to complete the necessary training and competitions offered in the sport. For most swimmers who train for competitions, the measurement of their improvement is through performance and Swimming for Parents looks closely at the many different aspects to training and competitions in an effort to provide parents with a more complete understanding of the sport and what a swimmer is experiencing. If you have a child who swims, then this book will become your new best friend. How can I help my child be the best swimmer they can possibly be? The answer is now available! You can go from being the new parent on the block, to knowing exactly what to say and do in a way that supports your child and helps them to excel in the sport of swimming… in just a few hours. Swimming for Parents will help parents of new swimmers, junior swimmers and age group swimmers to 18 years. It provides valuable information for parents of Club, District, State and National level swimmers. How many times each week should my child train? What is the most important aspect of swimming at a young age? What will my child learn in Advanced Lessons and early Junior Squads? How many competitions should my child take part in? What competitions should my child compete in? Is technique more important than laps swum? Should my child play other sports or focus on swimming? Why is that other child beating my child? What strokes or events should my child focus on? What will my child learn in a Junior Squad program? When should we take our holidays? It won’t affect performance if we take 2 weeks off, 10 weeks before Nationals will it? Should my child give up other sports? Why has my child stopped improving? Why has my daughter put on weight when she is training so much? What is the most important thing I can do to support my daughter during a time of Plataueing? When will my child swim well again? Should my child be doing dryland or gym workouts? What is the benefit of continuing swimming if they are not improving? Download and Start Reading TODAY! One of the wonderful things about this book is that it has been written for parents all over the world. While the author is Australian, the content relates to issues faced by swimmers in every country. In the first 10 days of the books launch copies were purchased by parents and coaches in USA, United Kingdom, Canada, New Zealand, Sweden, South Africa and many more countries. The parent education provided in ‘Swimming for Parents’ is universal. The information is useful for parents of swimmers in all countries. There are also specific references to the USA in many chapters of the book. How swimming benefits the development of all participants in a variety of ways both in the pool and throughout life. You will be amazed at the large variety of life skills learnt by an active participation in the sport of swimming. Why attending training on a regular basis is so important for children aged 10 to 13 yearsand how many sessions should they be doing. How to manage your child through the age competitive level of 13 to 18 years and what they will focus on at this stage of their development. Why teaching independence to your children is critical to their development and can also help them perform in the pool over the long-term. That within a defeat in a competition, there is often a victory and how you can support your child to embrace and learn from these situations. Why swimming successfully is as much about time management as it is about training hard. The skills your child learns in time management when juggling all their training, school and social activities will assist them for the rest of their lives. What the key responsibilities of a parent who has a child who is participating in swimming and there are many. Parenting is one of the most difficult and challenging jobs in the world and being a parent of a swimmer can provide additional challenges. How you can support your child at all stages of their development while maintaining a degree of control over how involved you become in their competitive swimming. The best way to measure performance and manage the accompanying success or disappointment. Find out if personal best times always a measure of success and how you can deal with disappointments. Why a focus on enjoyment of the sport is more important than a focus on performance and how parents can assist in this regard. What are the financial implications for my child’s involvement in the sport of swimming? Is swimming an expensive sport? If you are a ‘pressure parent’, applying undue pressure onto your child to perform and how you can turn that into becoming the ‘Ideal Swimming Parent’. How to develop the parent / coach relationship and why trust and respect between both parties is crucial to your child’s progress. Who to talk to if you have concerns over your child’s progress. There is a right way and a wrong way. Make sure you approach this in the right way. What Else Can I Learn by Reading Swimming for Parents? Many Simple Tips, Strategies and Information on how you can support your child to reach their full potential in the pool and how you can be the best swimming parent in the world! What the coach’s expectations are for swimmers in their squad and how you can support your child to achieve these. How the young swimmer aged 7 to 10 years can get started in the sport. For many this will happen as a progression from learn-to-swim. What do you need to know at this point? The difference between focussing on the process and focussing on results and which one is right. How to manage periods of fluctuation in performance of a teenager. How to manage the situation where your child is making a decision on whether to continue swimming. Provide your daughter with information on what is happening to her body throughout puberty and how these changes may affect her swimming and own self-esteem. Includes sections on body changes, managing periods, performance and body image. Why Swimming Clubs are the cornerstone to your child’s swimming education and how they assist in the development and nurturing of your child. What to look for if you have to choose a club or coach for your son or daughter. Why parents should support their children by joining their swimming club. The right way and the wrong way to change coaches or clubs. This is a must read and looks at the different ways these decisions can affect your child for many years. 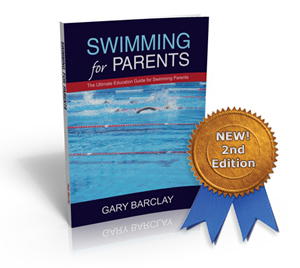 Buy ‘Swimming for Parents’ today and fast-track your knowledge and development. Congratulations, not only is ‘Swimming for Parents’ a wonderful service but is becoming a valuable reference book. Being relatively new to the world of junior squad swimming, your experienced insights would normally take time for parents to research themselves – thanks again, the book is like using a GPS. I have to say that I thought ‘Swimming for Parents’ was a terrific read. At first glance, I thought that I am not really going to learn much here. I am certainly not a new parent to swimming but neither am I an ‘old’ one – well I might be in age but not in my experience as a ‘Swim Mum’. My son is 10 years old and has been swimming for a few years. When I continued to read it I realised what an invaluable book this is. I was particularly interested in the section on how we, as parents, measure our children’s successes. We NEVER expect anything from our son and he knows that we love him no matter what. However, as I quietly looked around our Club and others at the last Swimming Meet I kept my ears open and realised just how many parents tell their child how to swim the race and then, when they don’t come up to their parents expectations, they berate them – and in front of their friends. I find that VERY sad indeed. Interestingly enough, those parents did not buy the book!!! I recommend this book to every swimming parent, especially those who have already had a few years involvement in the sport. I am writing on behalf of our swim club to thank you for the excellent resource “Swimming For Parents”. Our Head Coach recommends that all swim club members purchase the book. I personally have found it invaluable in explaining several aspects of the swimming world. It has something for everyone, at all stages of development, and helps parents provide the best support they can for their swimmers. 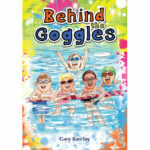 I am writing to let you know that we will be featuring the book in our club newsletter to enable newer members to be aware of its existence, and will be directing parents to purchase it from your website http://www.SwimmingForParents.com. Thank you for writing this book. All of the information was fantastic and I couldn’t put it down. I have three children who love to swim. They are 10, 8 and 4 years. The older two girls are in the local Swimming Club. Our club is a real family club with enthusiastic members and very supportive coaches. Your book has really helped me to understand how my kids may be feeling. One of my daughters has a deep passion for the sport and your book has helped my husband and me to understand how she is feeling and what she is going through. Just wanted to drop you a line and say how impressed I am with your book. Like yourself I have been involved in high level swimming myself. I am now entering into the coaching role but also find myself in a parent’s role as well. I read your book with two perspectives, a parent and a coach. Swimming and for that matter all sports could be enjoyed so much more for the athlete if parents took a step back and realised it’s not about them. But also there are times when athletes will find it a chore and hard work because it is. A champion isn’t made with a magic wand. It is pure hard work, determination and dedication from all areas. This book you have written will hopefully guide parents in a way of helping the athlete, rather than the athlete feeling like they have to please the parent to feel loved. Congratulations and good luck with the future of your book. You need to get it out there as a handbook for all new parents when they join at club level. ‘Swimming for Parents’ is a brilliant resource. As a parent I believe the best thing I can do is provide a happy environment were our daughter has an inner peacefulness so that everything she does comes from within, with absolutely no external pressure. In swimming our girl has never pushed herself excessively hard and her club was prepared to concentrate on skill levels. Her coach is totally comfortable with her being in the middle of the pack. Coming from within, she is now starting to discover herself and swim harder. Sadly, I see parents who have clearly bullied their children from a very young age into going hard at all costs. Some of these kids have injuries and most cannot appreciate the finesse required to develop the fine skills necessary to become an elite swimmer. I have often heard comments that a swimmer didn’t start winning races until they got close or into their teens, so I’m comfortable our daughter is on the same path. It seems to me that kids who have external pressure as opposed to internal self motivation, easily burn out or rebel as they start to mature. They want the freedom to be themselves, not what someone else wants them to be. Often it is the parents who haven’t been involved in intense physical activity themselves who are misguided and just push, push, push their kids seemingly until they make or break them. They don’t get it that it has to come from within and a happy stable peaceful home life is almost compulsory to bring out the best. Thank you for a great resource and I highly recommend it for every swimming parent. Thanks for the info on your new book. I have read a copy of your book and think it is fantastic!! It gives so much credence to everything coaches and clubs try to convey to the parents. It is great that parents now have a resource. A great read, which I know all parents of the kids I coach will be reading. Mornington Peninsula Flyers Swimming Club Inc. I have purchased ‘Swimming for Parents’ and found it to be a great book. I shared reading it with my husband. We also read parts of the book with our two sons and discussed many things. The book facilitated open and honest conversation; thoughts shape what we do, how we respond and engage ourselves. The book has beautiful photos that reinforce the content- capturing special moments of love and support (that go beyond stopwatches, trophies, pb’s and pennants). This is a great book. My son has just been offered a place in a club and I wanted some guidance on what to expect. This book has provided that and more. An excellent read and one I will be recommending to others. Thanks Estelle for the feedback.